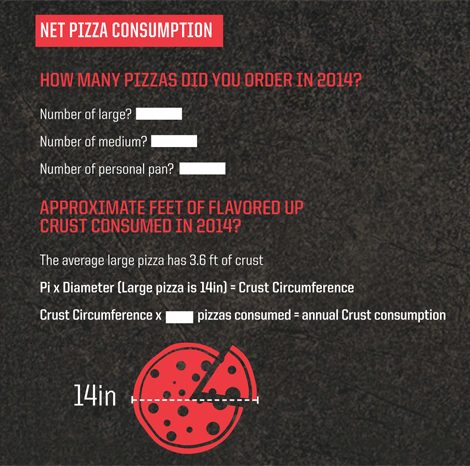 Instead of filling in a W-2, #pizzaboys should download a P-2, which asks about net pizza consumption for the year. Today is tax day, which means the guy dressed as the statue of Liberty who has been loudly soliciting people outside my window for two weeks can finally get lost. (Liberty Tax, I hate you). But the joy of today is not mine alone, for a number of companies are using tax day as an excuse to run vaguely punny promotions, ranging from a Sing for Your Supper special at Hard Rock Cafe to a baker’s dozen of Bruegger’s bagels for $10.40. Lol. 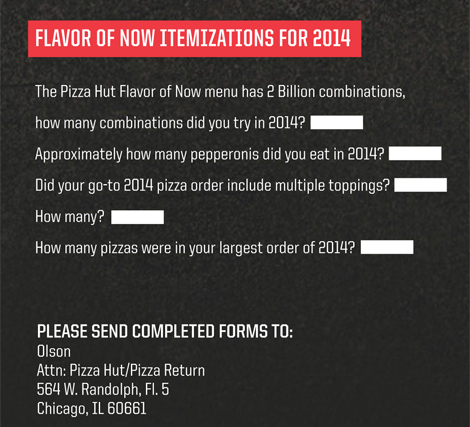 But perhaps one of the most elaborate schemes this year is Pizza Hut’s National Pizza Return campaign. 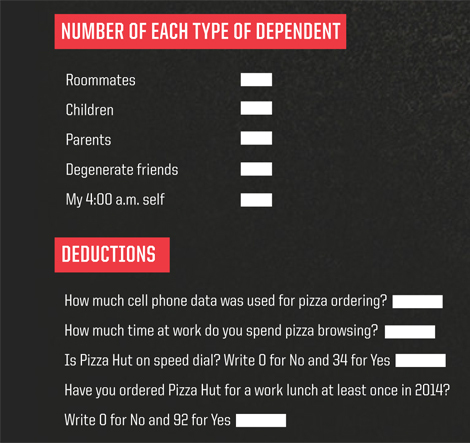 Instead of filling in a W-2, you’ll download a P-2 which asks you about dependents, deductions, and net pizza consumption for the year. Unlike your tax return, these tongue-in-cheek questions don’t need to be filled out too carefully. 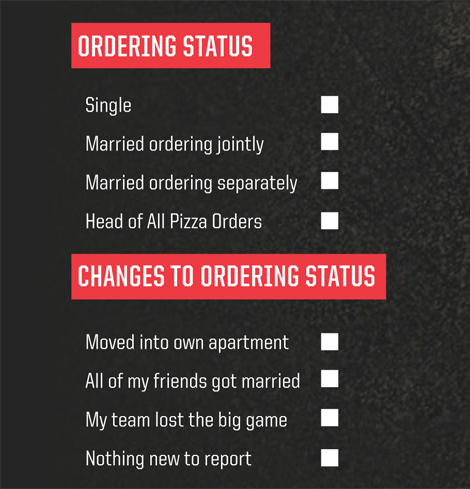 Once the form is submitted you’ll be entered into a random draw on April 21, where the winners will receive a $10, $20, or $50 Pizza Hut gift voucher. The fact that you have to print out and physically mail in the form could be a barrier to entry, but the promotion is mildly clever and amusing. That is, as long as you don’t think too deeply about how tax returns work, because that would sort of imply you spent too much money at Pizza Hut last year. It’s best to treat this promo like it’s a Pizza Hut pizza; the less you analyze it the more you’ll enjoy it.